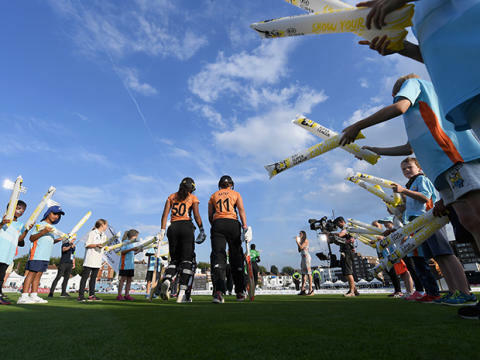 The second year of the Kia Super League has continued the momentum of England’s ICC Women’s World Cup win with an increase in crowd sizes. The average KSL attendance is up by a third on 2016. Over 20,000 fans have watched this year’s action – compared to 16,000 at this stage last year – with 1,379, on average, at each game. Tickets are available for Finals Day on September 1 - http://www.sussexcricket.co.uk/ksl-tickets - with reigning champions Southern Vipers poised to meet the winners of Western Storm and Surrey Stars. 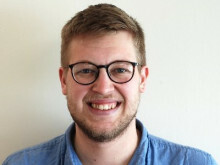 It’s set to be an exciting finale to a remarkable summer of women’s cricket, with memories of Anya Shrubsole’s six-wicket haul in front of a sold-out Lord’s still fresh in the mind. This year has also been the first year that the KSL has been broadcast live on television, with the first six games on Sky Sports as double-headers alongside men’s fixtures in the NatWest T20 Blast. Finals Day will also be live on Sky Sports, and covered by BBC TMS. On the pitch the tournament has seen its first hundreds – with Suzie Bates and Rachel Priest both reaching three figures – and with two matches still to be played 2017 has seen 73 sixes to last year’s 46. "As we look ahead to KSL Finals Day tomorrow, it's really pleasing to reflect on the 15 matches that have been played so far. The players have delivered some exciting and spirited performances, batsmen have hit more sixes than in 2016 and the fans have turned up in their thousands. It's been especially great to see so many mums and their daughters at our games - hopefully they've been inspired by what they've seen. “We hoped that we would be able to sustain some of the momentum and energy that surrounded England's remarkable World Cup campaign and it's fair to say that we have. Average crowds have grown by a third on last year's group stage matches so well done to all the venues for their hard work and fingers crossed for a full 1st Central County Ground at Hove tomorrow."